Hours after the Miami Heat beat the San Antonio Spurs for their second NBA Championship in a row, players and staff headed out to party in Miami Beach. The Heat converged on Story nightclub at Collins Avenue and 2nd Street, where they partied into the early hours Friday. Dwyane Wade was seen entering the club with girlfriend Gabrielle Union. LeBron James and coach Erik Spoelstra were also spotted heading inside. Miami Heat players Dwyane Wade and his girlfriend Gabrielle Union, LeBron James, Norris Cole, Udonis Haslem, Juwan Howard and coach Erik Spoelstra arrive at Story nightclub in Miami Beach to celebrate the team's 2013 NBA Championship. "Glad to be champions," Wade said before heading into the club. "I'm all smiles right now, man. We're gonna go party with our fans." "It's gonna get real loud, it's gonna be a storybook night," Norris Cole said. "Two for two, back-to-back, it doesnt get any better than that. I love my teammates, I love the fans here in Miami and we about to have a good time with them. "I'm enjoying the high right now, it feel great and I probably won't come down for awhile." Local rapper Primadonna talks about partying with the Miami Heat inside Story Nightclub in Miami Beach after they won the 2013 NBA Championship. Heat owner Mickey Arison and team president Pat Riley were also seen inside. Players partied with rapper Drake as well as several lucky fans. Fan Elliott Simhon, who got to party with the team inside the club, said the celebration libations were flowing. 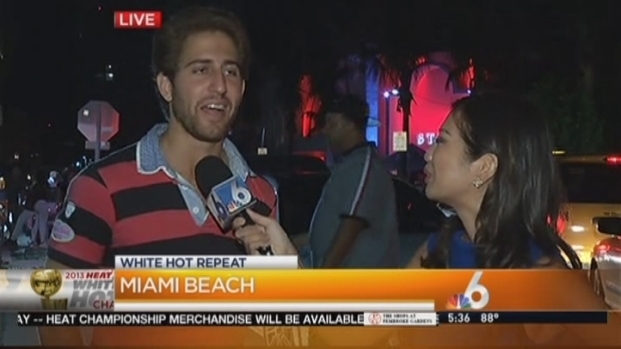 Elliott Simhon talks about partying with the Miami Heat inside Story Nightclub in Miami Beach after the Heat beat the San Antonio Spurs for the 2013 NBA Championship. "Seeing LeBron walk in here just bathing in champagne, the vodka, and just saying that nothing else matters, he's a regular guy from Akron, Ohio, just a regular kid and everyone's trying to put him down because after he made the decision to come to Miami but he's proven everyone wrong," Simhon said. Local rapper PrimaDonna was another lucky fan who was inside the club and described the festive mood. "It was the bomb," she said. "You hear LeBron, you would have thought Lil Wayne was in the building, he said 'Look me in the face, I ain't got no worries.' I said woooo, we won a championship!" "The coach surprised me, he was pumping bottles. It was just crazy," she added. 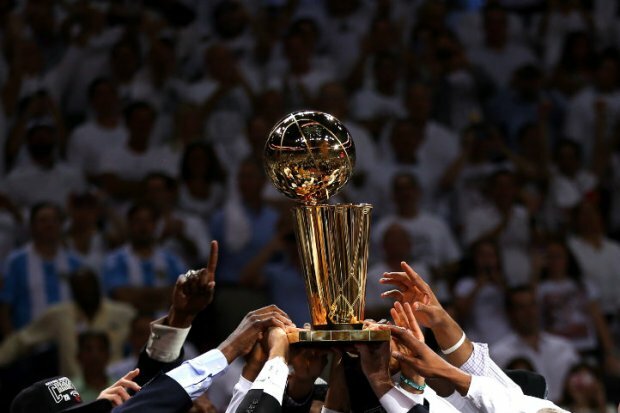 The club officially closed sometime around 6 a.m. At 6:17 a.m., Wade tweeted: "We ain't go no worries...2013 champs!!!!!"